Abstract: Milk and dairy products takes an important place in human nutrition, being indispensable source of favorably balanced and easily digestible proteins, fats, carbohydrates, minerals and vitamins. Furthermore, it is a raw material for many dairy products, such as yoghurt, cheese, kefir and etc. Before the consuming of ready milk, it goes through production, circulation and processing. Each step reaches potentially unsafe factors, influencing to its chemical contamination that can affect milk quality. For the present time methods of determination the consistency of milk and milk products are sufficient. However not all methods are convenient and economically available to analyze dairy products with a high accuracy and expressively. During the research was collected the most effective analyzes of milk production due to the international sources data and it was approved that chromatography methods allow identifying hazardous components in dairy products through sensitive, less time-consuming and cheap analysis, than traditional methods that is particularly important for milk, which is a highly perishable food. It was established that according to complex compound of dairy products, 80 percent approximately of all researches were provided by gas chromatography and high performance of liquid chromatography methods which are highly sensible . This article reviews the essential chromatographic methods for the determination of harmful components in milk and dairy products approaching a special focus on sample preparation. KAPAR, Anel et al. DETERMINATION OF HAZARDOUS COMPONENTS IN DAIRY PRODUCTS BY CHROMATOGRAPHIC METHODS. International Journal of Biology and Chemistry, [S.l. ], v. 11, n. 1, p. 178-188, aug. 2018. ISSN 2409-370X. Available at: <http://ijbch.kaznu.kz/index.php/kaznu/article/view/296>. Date accessed: 24 apr. 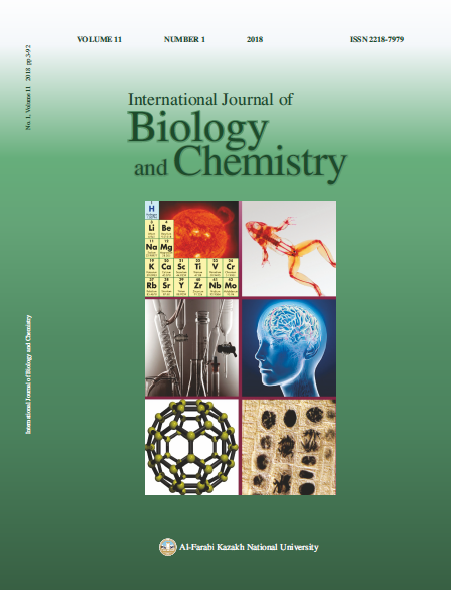 2019. doi: https://doi.org/10.26577/ijbch-2018-1-296.